Litecoin has a fixed supply of 84,000,000 tokens while there is no limit to Ethereum’s supply, which is why Ethereum is comparatively much more available. Litecoin processes transactions rather quickly, within 2.5 minutes. However, Ethereum is even faster and requires only 10-20 seconds to process a transaction. Litecoin has block reward halving for every 840,000 blocks which means Litecoin produces 420,000 new tokens for every 840,000 blocks. However, Ethereum produces much more tokens, at 5 new Ethers with each new block. Litecoin uses Scrypt which needs memory and not processor resources while Ethereum uses Ethash. Litecoin is used primarily for payments and test Bitcoin network while Ethereum can also be used as peer-to-peer currency, it’s used mainly to create dApps. It’s especially unique for performing smart contracts. These contracts can be compared to simple instructions used for moving it’s Ether cryptocurrency around. The average transaction fee for each Litecoin transaction is rather meager at just $0.04 per transaction. However, the average transaction fee for each Ethereum transaction is higher than this, at $0.85. Litecoin was created by an engineer Charlie Lee in the year 2011 while Ethereum was created by the then 19-year old Vitalik Bluterin in the year 2015. While Litecoin is a cryptocurrency, Ethereum is a platform where it’s currency is an Ether. While both cryptocurrencies can be used for as peer-to-peer currency for making payments, the primary use of Ethereum is for making smart contracts. While cryptocurrencies have been around for a few years, the year 2017 was a really wild one for them. This was when cryptocurrencies went mainstream, and the app Cryptokitties’ gained worldwide popularity. The three biggest players in the world of cryptocurrency are Bitcoin, Litecoin and Ethereum, each with their individual features, pros, and cons. 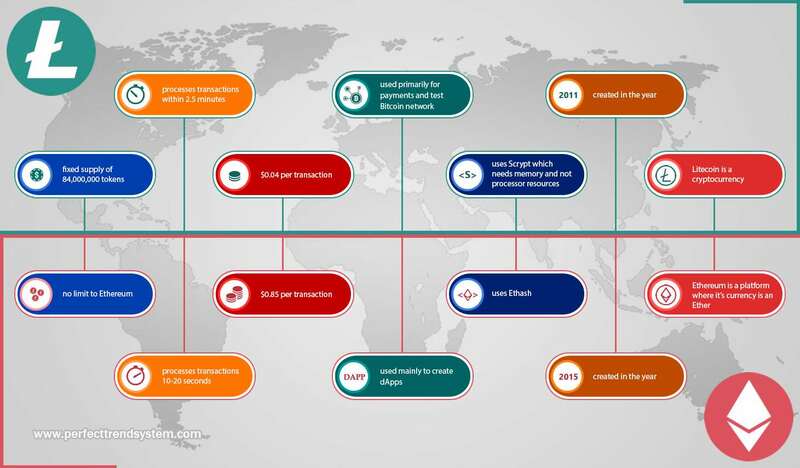 They may all seem to be similar in concept and service, offering easy means of transferring money across the internet, but have major differences in technological aspects. Despite cryptocurrency going mainstream today, not everyone knows what they are, and how they work. And if you plan to invest in cryptocurrencies, it’s essential you know all there is to know about it. While Bitcoin is rather well known and many people invest in because it’s been around for a long time, it’s cryptocurrencies like Litecoin and Ethereum that need some deeper introduction. So here is a breakdown of these two cryptocurrencies. 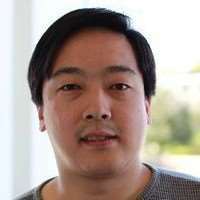 Litecoin was an early altcoin created by Charlie Lee, former engineering director at Coinbase. Though it was to be better than Bitcoin, it was not created to replace Bitcoin but more to complement it like silver to gold. However, the improvised improvements were not that prominent, which is why it doesn’t offer much more than what Bitcoin already offers. It was recently that Litecoin made a significant improvement by implementing a protocol called Segwit which Bitcoin had been struggling to implement in their chain for a long time. Litecoin is more like a copy of Bitcoin, but with some variation. It’s a means of digital cash used for paying for goods and services. It does have some advantages over Bitcoin like faster transactions. Litecoin needs about 2.5 minutes for a transaction, versus Bitcoin’s 10 minutes. So if you wanted to pay for your purchases with Bitcoin at a store, the Bitcoin transaction takes four times longer than a Litecoin transaction. This is where and how Litecoin has an edge over Bitcoin, which proves useful and important when it comes to smaller payments. Unlike Bitcoin that uses the algorithm SHA-256 to mine new coins which is convenient for giant companies to create new coins, Litecoin, uses Scrypt that demands memory instead of processor resources. This is why you don’t find giant companies switching over to creating new Litecoins. Ethereum is a completely different and new form of blockchain that’s quite different from competitors like Litecoin. It is not a digital currency but a computing platform with the cryptocurrency Ether fuelling it. It can be said that Ethereum brought a drastic change in how blockchain operates as it does much more than what Bitcoin does. It is a distributed computing platform where with the inclusion of Ethereum Virtual Machine in its nodes, developers can make new and interesting Dapps or distributed applications like complex smart contracts between peers using the blockchain’s Turing complete language. Cryptokitties is the first, and most important example of Dapps, which overtook the world in 2017.
it’s like instructions you give to the bank, which is not handled by humans but instantly handled by computers. They just need some 'gas’ in the tank or rather Ethers to let code self-execute without any human interventions. In other words, it needs a little Ether to run and execute each code. This is how and why Ethereum has opened up to become the main platform for delivering all types of decentralized services through smart contracts. Take for example you and your friend made a sports bet of $10 where you create a smart contract where both of you put $10 into it. The contract is programmed to send the money to the winner which means that if you win the bet, the smart contract automatically executes and sends you the cash. Only a small percentage of the $10 is used as gas, necessary for the execution of the smart contract. Ethers of Ethereum are specially required by engineers who use it as a pass to develop and assemble applications on Ethereum blockchain. And as Ethereum also acts as a programming language called ’Turing Complete’, developers use the language to create and publish applications which they know will run inside Ethereum. It’s also high in demand amongst clients who need access to collaborate with the different smart contracts found on the platform. This is because Ethereum is one of the most reliable decentralized software around. It also creates DApps in such a way that there is no chance of any third party interference to create any frauds, downtime, corruption or control over the transactions. With this enhanced security over transactions when compared to the traditional system of contracts like property contracts, there is a marked reduction in related costs, especially as there is no third person involved in the transaction. The best way to realize the value of these currencies is by relating their values in the future. Here you can understand the differences between these two currencies through the blockchain’s ability to innovate, and how much useful and valuable it proves to be to future users. Litecoin came sometime after the start of cryptocurrencies, and it’s relatively unknown to most people. This is why it has a rather small audience and not so big a community and is valued significantly lower. Ethereum, however, leads here in terms of innovation and future user because it has a larger potential audience to service in not only the finance sector but most industries. It has a widely developing community, and new technologies are constantly built on Ethereum. Though Litecoin is moving forward by adding new technologies, it’s not as advanced as Ethereum. So if you consider technological innovations to value the different cryptocurrencies, Ethereum comes ahead and has a good chance of overtaking Bitcoin’s valuation soon. Another way to compare the three cryptocurrencies is by their investment scarcity. This is better understood if you compare it with financial assets like gold and silver which have high values for not their use but more for their scarcity. Bitcoin is and will lead the market for some time because investors tend to trust Bitcoin blockchain over others, and will continue to invest in it. This is why Litecoin and Ethereum don’t do well here. Well, Litecoin because it was introduced to the market as Bitcoin’s little brother. In the case of Ethereum, it can’t win at this comparison because of its blockchain design. Both bitcoin and Litecoin have a hard cap or limit can be created, making their supply limited and valuable. On the other hand, Ethereum’s blockchain doesn’t have any hard cap. The only thing that may happen it the rate of ETH or Ethereum cryptocurrency getting created will be decreased. So this means that the currency will be continually created for quite some time now, and will never hit the same hard limit Bitcoin has. This is why Ethereum is less valuable in this respect. Now if you wonder which is better in the tussle between cryptocurrencies, you should actually invest in all of them as it’s always wise and safe to add different investment opportunities to your portfolio. This is because the different cryptocurrencies have their individual merits and demerits, so investing in all of them keeps your investment safe while reducing the risks and maximizing returns. While both operate on blockchain technology, Litecoin is a comparatively more stable currency while Ethereum and it’s currency Ether can be used for a wide range of applications.